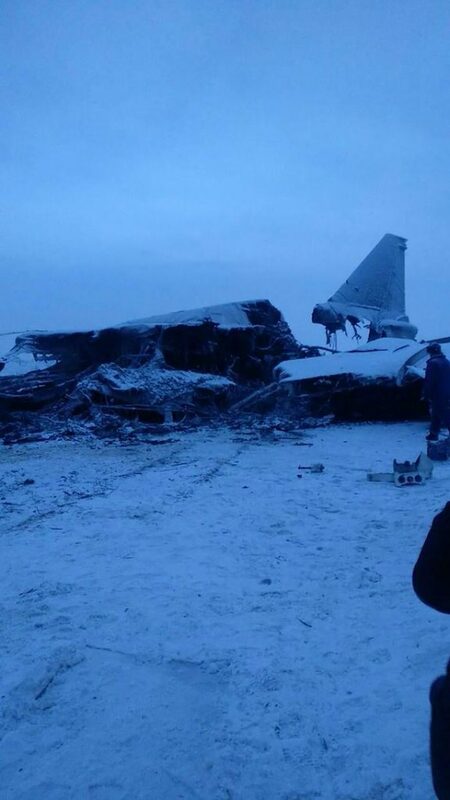 The accident occurred as the long-range bomber was attempting to land at Olenegorsk airfield, aircraft caught fire and was destroyed. Of the four crew members, two were injured and were transported to a medical facility to receive assistance whereas two were killed. One of the injured crew members later died in hospital from the injuries sustained in the crash. Preliminary results of the military investigation said the cause of the accident is a piloting error. Tu-22M3 bombe’s crew allowed landing with increased load. The aircraft broke up on impact with the main section bursting into a fireball. The cockpit separated from the rest of the heavy bomber in impact in a hard landing in Murmansk region above the polar circle. 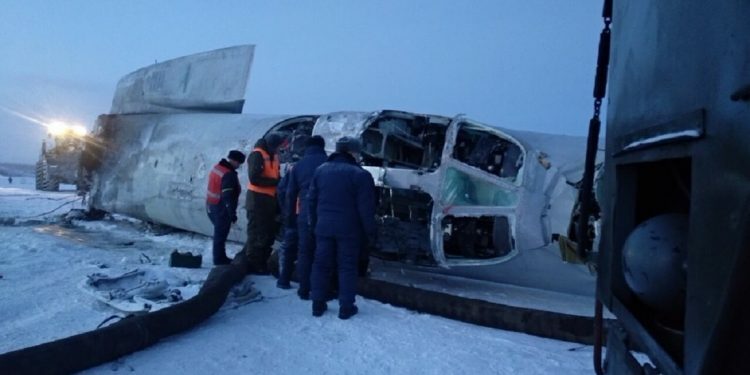 Alexey Guryev evidently lost control as it landed at a remote airbase on a training flight. The plane touched the runway but then bounced off, breaking up, according to reports. The damaged cockpit is seen lying on its side in a snowfield an unknown distance from the rest of the wreckage which is visible charred. Guryev, 37, died at the scene. 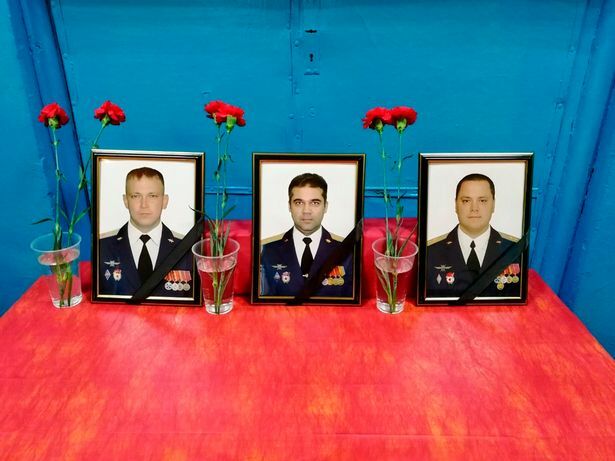 A tribute has been set up to the captain and the two other airmen who perished in the crash – co-pilot Konstantin Mazunin and navigator Viktor Greyf. An emotional message honouring Greyf, 43, who died as he was rushed to hospital, was posted his teenage son on social media. Kirill, 17, wrote: “You are my hero! Another navigator Maxim Rylkov survived the crash but was reported to be in a “grave” condition. Guryev – a father of one – was from a dynasty of Russian air force pilots and had followed in the footsteps of his father German. His eight year old son was named German after his grandfather. 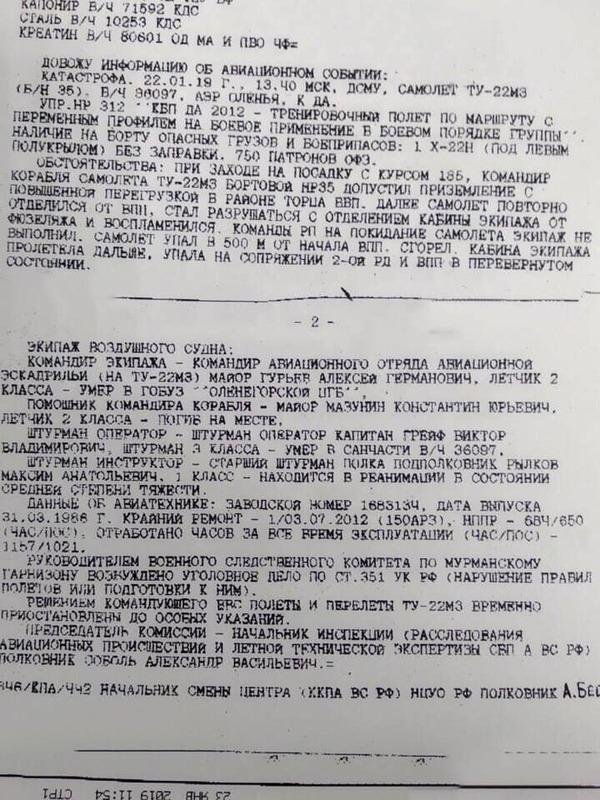 There is implied criticism of the crew in an official accident report that leaked tonight (THURS). It claimed the captain “allowed the landing of the aircraft without levelling”. The unbalanced plane then broke apart with impact and began to “destroy”. The cockpit and the rest of the aircraft which erupted in flames were detached. 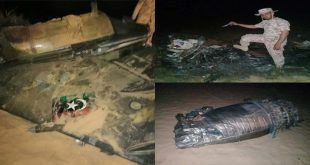 “The crew did not respond the commands of flight management team and did not leave the aircraft,” said the leaked report.